Images from Careerplay. Used with permission. 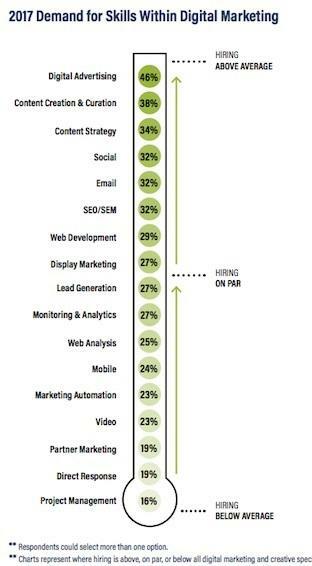 There is a talent gap in the market, and digital marketing jobs take 16 percent longer to fill than other postings and show a growth rate of 30 percent over traditional marketing roles. A McKinley Marketing Partners report on 2017 Marketing Hiring Trends revealed that 56 percent of companies plan to hire more digital marketers in 2017. If you take a closer look at the hiring landscape, it’s clear to see that the talent gap directly affects the hiring in digital marketing roles. 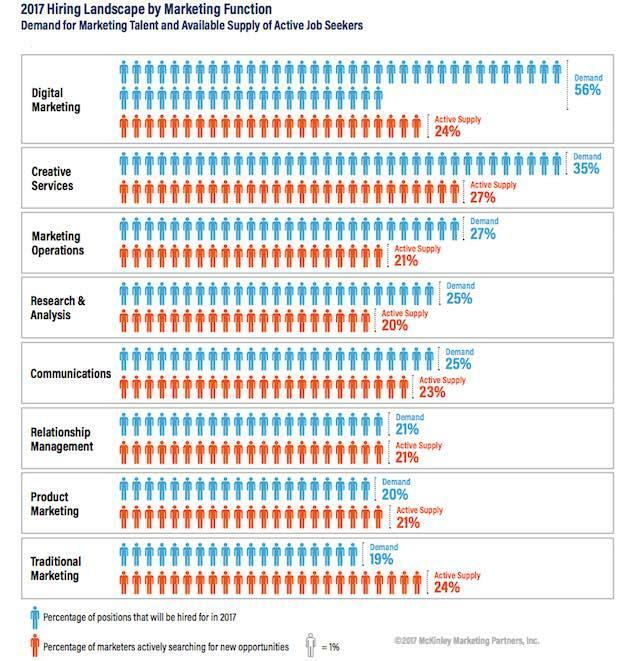 The most in-demand marketing skills were digital advertising (46 percent), content creation and curation (38 percent), and content strategy (34 percent). But what about the salary of digital marketing professionals? Has the incentive kept pace with the demand? Well, yes. 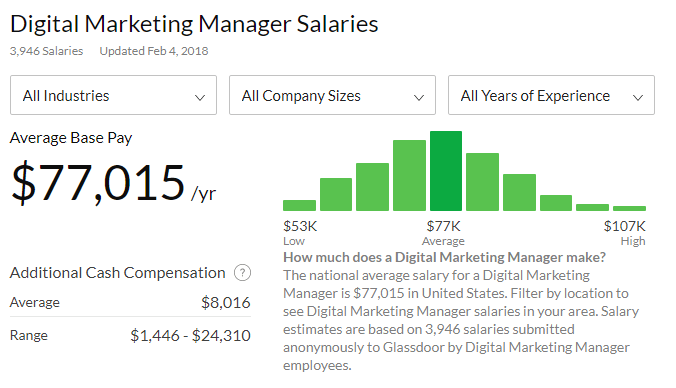 Digital marketing professionals make $7,000 over their traditional counterparts, and according to data collected by Glassdoor, a digital marketing manager earns an average of $77,015 per year. How can professionals take advantage of the talent gap in digital marketing to advance their careers and increase compensation? Is there a four-year degree requirement to enter this field? If it takes 16 percent longer to fill a position, do you have a chance of being a qualified choice? Let’s expand and learn how you can transition your career into digital marketing. There is a lot of opportunities available for digital marketers. It is time to take advantage of this career choice. The truth is, you don’t even need to attend a regular university class to earn a digital marketing certificate. You can go for an online digital marketing certificate in the comfort of your home. It is fast and convenient. Renowned universities are offering different courses in digital marketing online. Also, if you prefer a regular classroom teaching, there are good universities that offer such opportunities. This article provides a guide for prospective students and professionals who want to undertake courses in digital marketing certificate programs whether online or in a typical classroom setting. Duke University was founded in 1838 to serve the needs of the community in Randolph County, North Carolina and over the years transitioned into one of the most prestigious universities in the southeastern United States with the motto “knowledge and religion” at its core. The Digital Media and Marketing Certificate, offered through the Office of Continuing Studies at Duke University, is a self-paced program designed for people who want to improve their skills in digital marketing or start a new career in the field. It is one of the most comprehensive, non-credit programs with 350 combined instructions/study hours. The age range of applicant is from 18 years upwards. Applicants should be fluent in the English language, both reading and, writing. They are also required to be computer literate, have a good internet access, and an active email account. The program, which also covers the labs, tools and other short courses, is delivered through streaming video lessons by top-notch authors, speakers, and consultants. Complete six advanced modules of your choice. Registration for the digital marketing course is always on. Founded in 1791, the University of Vermont is a New England university with an excellent reputation and storied history. It ranks as one of the 5th of the New England higher education institutions established after Harvard, Yale, Dartmouth and Brown and #11 by Value Colleges for the best value for a digital marketing online certificate. The University of Vermont’s Digital Marketing Fundamentals Certificate ranks as the #1 in the nation by Best Online Marketing Degrees. Taught by professional practitioners who work with Fortune 1000 companies to create and implement digital marketing plans, the course is designed for marketing generalists, people who are new to marketing, and seasoned marketing leaders who need to know more about the digital marketing landscape. Discounts are available for members of PMI-CV, VBSR, LCRCC or UVM and UVM Medical Center Affiliates. Located in Chicago, Illinois, DePaul University was founded in 1898 and is known for enrolling first-generation students and others from the less privileged background. It ranked #120 in the 2018 edition of Best Colleges is National Universities. Its Integrated Marketing Communications Certificate program provides a detailed knowledge of the basics required to create a clear, cooperative communication strategy for your organization by using advertising, promotion, direct and digital marketing. Delivered online or on campus, the program is designed for marketing managers, account managers, experienced marketers, and advertising professionals looking forward to launching into the digital marketing niche. To qualify for the digital marketing certificate, students need to complete three required courses (options below), two elective courses, and one seminar. The University of California, Irvine located in Orange County, California, is a public institution founded in 1965. It is one of the campuses in the University of California system and has a reputation for academic achievement, premier research, and innovation. The university’s online Digital Marketing Certificate Program is designed for professionals who want to enhance their website performance, create online marketing campaigns, and acquire analytic skills and those who will like to advance in their marketing career. It covers strategies across mobile marketing, social media, search engine marketing, geared towards helping students to acquire, convert and retain customers. To earn the digital marketing certificate, enrollees are required to complete six required courses and two elective courses with a grade of “C” or better for a minimum of 16 units. To enroll in the program, you must be proficient in the English language. Oregon State University was founded in 1868 and is located in Corvallis, Oregon, northwest United States. The University has the largest total enrollment (more than 230,000 graduates since its inception) in the state. It ranked #15 by Value Colleges for best value for a digital marketing online certificate and #145 in the edition of Best College is National Universities. It offers a certificate in Digital Brand Management that provides a detailed overview on how to get found on the first page of Google, how to use Social media for marketing, how to get the best out of your branding effort and SEO, SEM, and AdWords. Taught by top leading industry pros, the online program is designed for marketing and communications professionals who want to be certified in essential digital strategy, technology, social media and content development skills as well as industry-leading professional marketers from top agencies in the world. It covers four courses that are conducted individually for a period of 5-7 weeks. Upon completion, you will be given a certificate and a digital badge to showcase your credentials. 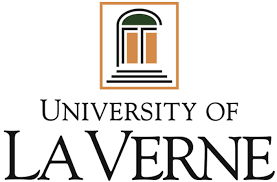 The University of La Verne is a private, non-profit, non-sectarian university founded in LaVerne California in 1891 by the Church of the Brethren. It has 8,500 graduate students, part-time, and online learners and about 2,809 undergraduate students. Its Digital Marketing Certificate Program is intended for sales and marketing professionals who want to enhance their digital marketing knowledge and learn practical skills that will impact their job. Rutgers, the state university of New Jersey, was founded in 1766 and is the eighth oldest higher education institution in the United States. Ranked #15 by Value Colleges for best value for a digital marketing online certificate, the university also placed #69 in the 2018 edition of the U.S. News and World Report’s National Universities category in Best Colleges. It offers 11 online degree programs at the undergraduate and graduate levels, including an online Mini-MBA in digital marketing and a Digital Marketing Certificate program. The courses aim to build enrollees’ understanding of digital marketing in an interactive setting, with a syllabus that’s designed for world application by thought leaders in the industry. Furthermore, the courses are ideal not only for new people who want to explore the digital marketing space, but also for managers, team leaders, and marketing executives who partner with sales, HR, or individuals running their own initiatives. The digital marketing programs are offered in two formats: a 5-day in-person accelerated program (located in New Jersey, Chicago, and Toronto) and a 12-week, self-paced program delivered online through video and interactive course materials. Its Professional Certificate in Digital Marketing includes courses in digital content strategy, digital advertising, and marketing analytics and aims to help students better understand marketing tools and the knowledge required to manage their business. The program is designed for people who are responsible for marketing activities regardless of the type of organization. Applicants, however, are required to have a degree in marketing or a similar field and one to two years of marketing-related experience before they can be admitted into the digital marketing certificate program. Students are required to complete three core courses and two elective courses within two years in order to earn the certificate. Located in Seattle, Washington, the University of Washington, popularly known as UW or U-Dub, is a public research University founded in 1861. It is the flagship institution of the six public Universities in Washington state and has over 55 undergraduate and graduate degrees, certificates, options, and concentrations. U-Dub offers a certificate in storytelling and content strategy designed for marketing professionals, communications, advertising and public relations professionals and those who want to enter the niche. The course is delivered online with real-time meetings. It affords students the opportunity to interact with instructors and fellow students through chat, web conferencing or phone all in real time. Established in 1867, the University of Illinois, Urbana is a public research university with about 34,000 undergraduate students enrolled. Popularly known as U of I or UIUC, the university is the second oldest University in the state and is ranked #5 by Value Colleges for best value for a digital marketing online certificate and #52 in the 2018 edition of Best Colleges’ National Universities. Delivered exclusively through video lectures, exercises, and quizzes, each of the courses has a four-week duration and requires six to eight hours of work each week. 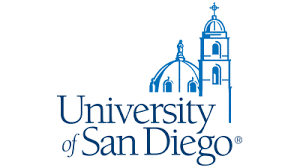 Founded in 1949, the University of San Diego is a private Roman Catholic University that is ranked #90 in Best Colleges’ National Universities. The university offers the Strategic Online Marketing Certificate program for marketers, business owners, business professionals who want to enlarge and increase their online presence by acquiring digital marketing skills. Delivered by experienced industry professionals, the courses are also useful for people who are looking for a change of career. To earn the certificate, applicants are required to complete eight core courses (shown below) with a final GPA of 2.4 or higher, develop and present a portfolio consisting of an online marketing strategy tailored to the company’s needs, and attend 70 percent of scheduled classes. The Massachusetts Institute of Technology (MIT) is a private institution founded in 1861. The majority of its enrollments are in graduate and professional programs. MIT ranks #5 in the 2018 edition of Best Colleges’ National Universities and #2 by Value Colleges for best value for a digital marketing online certificate. The institute offers the Digital Marketing and Social Media Analytics program for many professionals, including top executives, managers, chief marketing officers, marketing managers, and agency executives who want to know the rules of marketing in this new digital era in order to better guide their digital marketing campaigns. A private, non-profit Catholic research university established in 1842, the University of Notre Dame boasts an undergraduate enrollment of 8,530 students. Notre Dame is ranked #18 in the 2018 edition of Best Colleges’ National Universities and #4 by Value Colleges for best value for a digital marketing online certificate. The University of Notre Dame Mendoza College of Business, in conjunction with Rutgers Business School Education, runs a top-notch accelerated Digital Marketing Certificate Program designed for executives working in marketing, advertising, communications, sales, and IT professionals. This in-person program also includes case studies, interactive sessions and class exercises. The University of Georgia is a public institution established in 1785 – the country’s oldest state-chartered university and served as a model of the American system of public higher education. It is ranked #54 in the 2018 edition of Best Colleges’ National Universities and #9 by Value Colleges for best value for a digital marketing online certificate. This course track is designed for business professionals who need to enhance their knowledge in digital marketing. The courses include the basics of digital marketing channels. This track is designed for marketers who want to improve their digital marketing skill sets. It includes search/PPC marketing, SEO, Conversion optimization and web analytics. This third track is designed for media and marketing professionals who want to learn the techniques of digital media marketing. The courses include social media, content strategy, email and mobile marketing. Once completed, the programs will have students prepared and qualified for the Online Marketing Certified Associate (OMCA) or Online Marketing Certified Professional (OMCP) exams. All three tracks are taught online and you can register whenever you want. 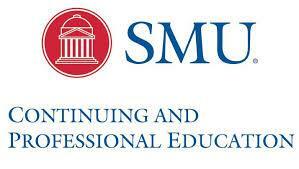 Established in 1911, Southern Methodist University currently has 6,521 students enrolled. This private institution is ranked #61 in the 2018 edition of Best Colleges’ National universities and #12 in best value for a digital marketing online certificate by Value Colleges. The university’s digital marketing certificate program is a one-semester course that aims to help students to create a digital marketing strategy, execute it and integrate it with digital marketing channels, measure ROI with relevant metrics, and know content development and project management. Delivered in a classroom format, this fast-paced program is designed for marketing, advertising, communications and PR professionals, new marketing graduates, digital marketing professionals and small business owners. Established in 1968 by Dr. Donald Ross, Wilmington University is a private non-profit open access research institution that now has a total of 20,000 undergraduate, graduate, and doctoral students. It ranked #19 by Value Colleges for best value for a digital marketing online certificate. The Online Graduate Certificate in Digital Marketing offered by the university provides applicants with the skills they need to create digital content including how to design a website and create online advertisements. Participants will acquire the knowledge and skills they need to advance their career or explore a new field, tools that can launch them into greater opportunities in their respective fields. Ferris State University is a public institution established in 1884 that features an undergraduate enrollment of 12,866 students. It ranks #83 in the 2018 edition of Best Colleges’ Regional Universities Midwest and #21 by Value Colleges for best value for a digital marketing online certificate. The university offers an online Graduate Certificate in Digital marketing designed for working professionals that aims to develop skills in multi-channel marketing, online marketing, database management, digital marketing best practices and creation and execution of advertising plans and campaigns. To receive a digital marketing certificate, students must have completed the requirements with a minimum of 2.0-grade point average. The Benedictine University is a private Roman Catholic University established in 1887, and has an undergraduate enrollment of 3,171 students. It ranks #223 in the 2018 edition of Best Colleges’ National Universities and is ranked #23 by Value Colleges for best value for a digital marketing online certificate. The university, in partnership with Market Motive, offers an online Graduate Certificate in Internet Marketing designed and taught by industry professionals. It helps students understand the relevant marketing tools required to create successful marketing campaigns and advance your career in the marketing niche. The program is online-based and flexible, easily accessed and customized to fit any student’s needs. Portland State University is a public research university established in 1946. It ranked under Tier 2 of Best Colleges’ National Universities rankings and placed#4 by Value Colleges for best value for a digital marketing online certificate. The University offers a Digital Marketing Strategies certificate designed for professionals who are trying to move into the digital marketing niche and people who want to know more about digital marketing in general. It teaches students how to start, strategize and implement digital marketing strategies to boost the return on investment. Duration: The program is offered twice a year and must be completed within four years. Florida International University, a public institution established in 1972, started back when there weren’t any major public universities in Miami. Today, it is the fourth largest university in the USA and is recognized as one of the major universities in the South with an undergraduate enrollment of 45,813. It ranks #216 in the 2018 edition of Best Colleges’ national Universities and #23 by Value Colleges for best value for a digital marketing online certificate. The university’s Social Media and E Marketing Analytics certificate program is open for degree and non-degree seeking students seeking for greater access to better employment, as well as interaction with top professionals in the field, seminars, corporate tours, and other related events. Duration: The program is offered twice a year and it must be completed within four years. Full Sail University was established in 1979 in Dayton, Ohio. This private for-profit university is ranked #30 by Value Colleges for best value for a digital marketing online certificate. Although the university started out as an audiovisual production tech school, it expanded over time to additional fields such as business, marketing, and technology. The University of Denver is a private university established in 1864 – the oldest school of its kind in the Rocky Mountains region. It is recognized all over the world as a progressive and excellent institution of education with a current undergraduate enrollment of 5,754. It ranks #86 in the 2018 edition of Best Colleges’ National Universities. The University of Denver offers a Certificate in Marketing Communication, which teaches students how to create digital marketing campaigns that can reach their audience and produce maximum results. After completing this course, certified individuals will be able to measure marketing communication efforts and create strategies to lift organization marketing efforts. The certificate program is available online and on campus. The University of St Thomas is a private institution established in 1885. It has an enrollment of 6,111 undergraduate students and ranks 115th in the 2018 edition of Best Colleges’ National Universities. The university offers a certificate program in Digital Marketing Fundamentals that teaches students how to develop a digital marketing strategy, tools to use in your strategy, why a website is necessary for marketing and how to get customers to your website. The course is designed for traditional marketers who want to enhance their skills, supervisors leading teams, technical professionals and those who want to change their career to digital marketing. The University of Toronto, a public research university established by royal charter in 1827, runs three campuses – St. George, Mississauga, and Scarborough in Toronto. It is internationally recognized for its developments in literary criticism and communication theory fields. The University’s Digital Marketing Management program teaches the key concepts and trends associated with e-commerce and e-business, how to use leading tools, techniques and best practices in customer service and learn from industry leaders. Georgetown University was founded in 1789 by John Carroll, the first Bishop of America. The university has 7,453 undergraduate students and uses a semester-based academic calendar. It ranks 20th in the 2018 edition of Best Colleges’ National Universities. It also ranked as the 21st university in the country by U.S. News and World Report. It offers a Certificate in Digital Marketing that helps students build skills and marketing knowledge required to build relationships with customers. The on-campus program must be completed within two years. 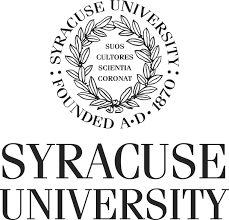 Syracuse University was founded in 1870 and it ranks #61 in the 2018 edition of Best Colleges’ National Universities. The University of Syracuse’s S.I. Newhouse School of public communications teamed up with Hootsuite to create a course in Advanced Social Media Strategy (ASMS) certificate. It is a detailed program for managers, strategists, and leaders who want to learn how to build social media strategies that get results. Students will learn how to use advanced skills such as content strategy, influencer marketing, and tracking ROI. These proven strategies and new tactics are taught by top professionals in the industry. The courses are delivered through video lessons, interactive text-based learning, supplemental readings, quizzes, and a final exam. 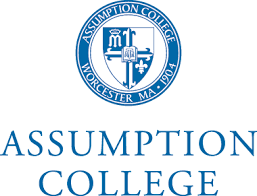 Assumption College, located in Worcester, Massachusetts, is a private institution established in 1904 by the Austinians of the Assumption. It ranks 28th in the 2018 Best Colleges’ regional Universities North and No. 14 by the Value Colleges. Assumption College’s Online Certificate in Digital Marketing is a great program for marketing professionals who want to enhance their skills and for people who want to make a first leap into the digital marketing niche. The above courses cover the necessary areas required to launch a successful career in digital marketing or build new skills as a professional marketer. The California State University, Fullerton is a public research university established in 1957. It is a leader within the California State University System. It ranks #202 in the 2018 edition of Best Colleges’ National Universities. Cal State Fullerton offers a Digital Marketing certificate program that is nationally ranked and is designed for top professionals who would like to add digital marketing to their existing career and new graduates who want to move into the digital marketing niche. The program consists of six online courses – each of which takes 4-6 weeks to complete. When the courses are completed, certified graduates are awarded twelve continuing education units.